I thought his name was Ronald and he had a Restaurant? Sorry your question is unclear to us. please clarify? Can you recall all the farm animals he had without googling? I can't! Thought counting stars would help you sleep? Nursery rhymes will make you more alert!! This is children song about farmer named McDonald who kept all those animals. "Ronald McDonald" There goes that bad sense of Humor again? I got but I also have "bad" sense of humor from time to time. The guy on the left in the Macarena video totally reminds me of Bernie Madoff. Ah, depends on what the book is about! I recall as a schoolgirl I would read all night until the book is finished, much to my mother's nagging! She was afraid I won't get up in time for school next morning. I would even read under the blanket with a torch when the lights were turned off by my parents. No wonder I need glasses in later age!! I have always loved reading! Once in a while, I will still read late into the night! That sign says everything lol. This is soooo true. I mean the last time I, oh look a squirel, and I love singing and Oh look my book, I thought I lost it. Now where was I, ummm oh nevermind, it will come back to me later. I often here a familiar line from a song or part of the melody and for the rst of th day I am stuck singing the entire song, because I can't get it out of my head. 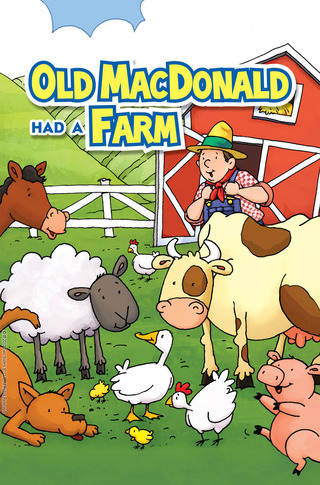 If Mr. Mcdonald was old, how the heck did he keep his farm going? I had 'Give me oil in my lamp, keep me burning' all day long from getting into bus for my morning commute. Guess what? In the evening, I went to a home meeting and that was the first song chosen by a member to sing!!!! Joyous! Tell me about it! I used nursery rhymes to stay awake all night while taking care of little ones. Right admin, smile and the whole world smiles with you and all that!! Quite infectious. Don't mind getting this contagion!!!! Useful store to have of some nursery rhymes. BUT why did you have to stay awake all night? When they are asleep, you should take a kip too unless you are on night duty in a hospital or nursing home when you shouldn't be sleeping whilst on duty? [reply="godseeconomy;37243"I took care of my Mom until she passed away. She was on peritoneal dialysis. I did her dialysis between 3 and 5 times a day every day. The nursery rhymes would help the little ones fall asleep but the singing the nursery rhymes kept me awake. I cannot sleep unless everyone in the house is sleeping. I have always been an insomniac. Sometimes I had to rock a little one for 3 to 4 hours straight while singing to them in order for them to sleep. Wow! That's a full time care you gave to your dear mum. It is very commendable of you and your devotion and labour of love. My husband and I took every 3/12 off to look after his mother in Miami until she went to meet her loving Saviour. We counted it as a privilege. She had a glorious death in front of our eyes. She kept telling us she wanted to go to be with Jesus, we kept telling her 'Jesus is not ready for you yet, Mama!' On the morning of her death she was praising the Lord with her last breath! She was so obedient to all our instructions to the last moment. She was so alert and aware of her surroundings etc. I would love to go like her. Women like you makes everyone realize how great it is to be a women, you have everything to bring comfort and peace in everyone's life or else it would have so bitter and scattered life. You're lucky she left this Earth peacefully. My father died of pancreatic cancer when I was a teenager. I took care of him until he passed away. He died in my arms. My mother had suffered a stroke at the end and passed away in her sleep right after I walked out of the room. whenever I had to take her to the hospital for an infection or blockage that I could not treat at home, The doctors had me stay at the hospital with her to make sure she received proper care since they were short on staff. Once when we were in the E.R., she had missed a dialysis treatment and was becoming very ill. I asked the staff for medical supplies to do the procedure and they stared at me blankly. They didn't have any. They called another hospital for the stuff, but they sent the wrong stuff.I called my husband and asked him to bring me the supplies. I then taught the E.R staff how to do peritoneal dialysis. The nurses had to take a 3 week course on how to do it but since the hospital did not do the procedure on a regular basis, none of their staff knew how. I had even taught a thoracic surgeon and a cardiac surgeon how to do it. A patient came in to the ER once needing the procedure while we happened to be there and sure enough the staff that was there that night had no idea what to do. At that point, I had learned to come to the hospital prepared. I went out to the car and retrieved my mom's supplies. I then , again, showed the staff how to do the procedure. a few hours later during morning hours, I called my mom's nephrologist and asked for the ER to be stocked with supplies for such a case. I then arranged for all ERs in the area to be periodically trained in dialysis of this kind.rior to my doing it, only 1 hospital in the region was equipped to do it. The next hospital that was equipped was over an hour away. After my mom passed away, I had 1 1/2 months worth of supplies left, plus all of the equipment. I donated it all to the hospital to make sure that in case of an emergency situation, a patient could get the proper care. Yes, RIP mama. She had an excellent appetite for her pureed food too. She always said she wished to leave this earth with a full belly! She did! She passed away after a full breakfast!! Bless mama. RIP indeed. She instructed us where to bury her and she wanted to be buried beside the vicar she had known for donkey years!! Whenever she meets anybody or any visitor who came to vist her, the first thing she asked is not 'How are you?' but 'Is your belly full?' !! Thank God for families indeed. He made this institution to preserve humanity. I feel sad when I hear of broken families. It is not what God intended for mankind. Wow, what a burden for young shoulders. You did excellently. You have a lasting legacy of your devotion to your parents. It is shocking to learn of the nursing/doctors not knowing how to do dialysis. The US system must be different to our NHS. No untrained nurse or doctor would be assigned to look after a dialysis patient if they had not prior knowledge of how to do the procedure. The patient would be admitted into a renal ward where all staff would know how to do even the basics. It's scary for nurse and patient to be thrown into the deep end, esp in times of emergency. It was shocking to learn that they had no idea how to do it or that they weren't paying attention during their 3 week long instruction course. At that time, they also did not have mandatory refresher courses. I even stared at a Gastroenterology surgeon , when he looked at me blankly and said, "What? i specialize in gastroenterology. What am I supposed to know about peritoneal dialysis?" Peritoneal dialysis is when they do the dialysis through the abdominal cavity. There is a shunt either near the belly button or on the side. My mom's was by the belly button. It's different than hemodialysis. It generally can only be performed on someone that has not had abdominal surgery. That's why I looked cross-eyed at the gastroenterologist. It's like, what's next....a thoracic surgeon that knows nothing about lungs??? Oh it was peritoneal dialysis. That should be more straight forward. I hope health professionals are more up to date now. In UK, to remain on the register all nurses must go on a mandatory refresher course every year related to the speciality they are in. [godseeconomy sascha; I had to take of my Mom and Grandmother and i was working as well. They both very ill my mine had 4 stage lung cancer Gram had a heart attack...they were in separate hospitals and I worked a lot of hours! they died within 6 weeks of getting sick. It was a rough time but, I did everything I could do for them as they did for me growing up....there all out of pain and resting.